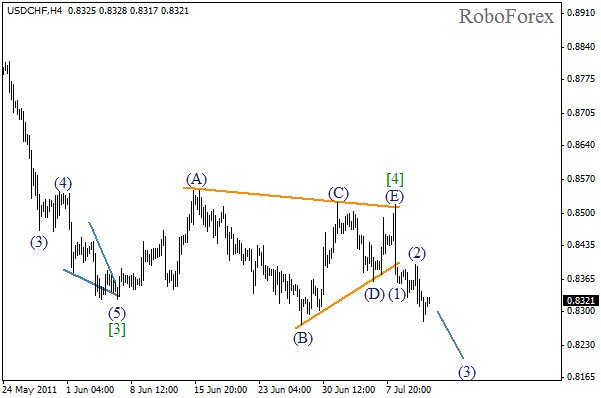 Wave 2 lacks one wave, (5) of [C], to complete the formation of zigzag pattern. This wave may be formed by the end of today. One is recommended to wait for bullish impulse before starting buying the pair. 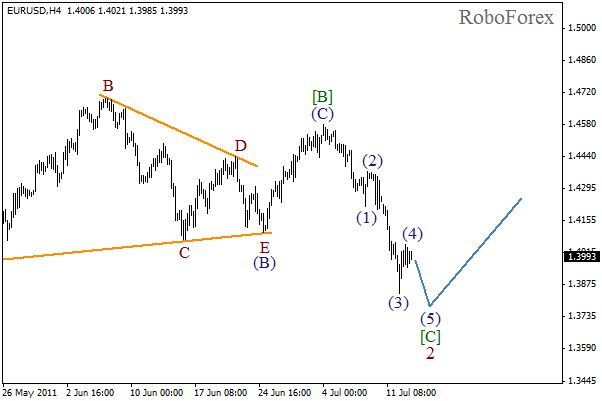 The pattern which is being formed inside wave (4) at the H1 chart may be horizontal triangle. The internal structure of this wave let us suppose that it may be finished. A descending wave (5) may start within the next few hours. 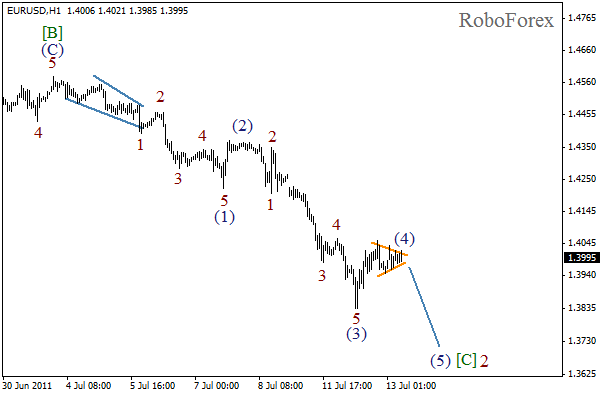 By starting wave (3) the market has completed the formation of horizontal triangle. Bearish forecast still remains in effect. The price may continue to fall down during the next several days and reach new local minimum. Wave (2), in the form of flat pattern, is completed. 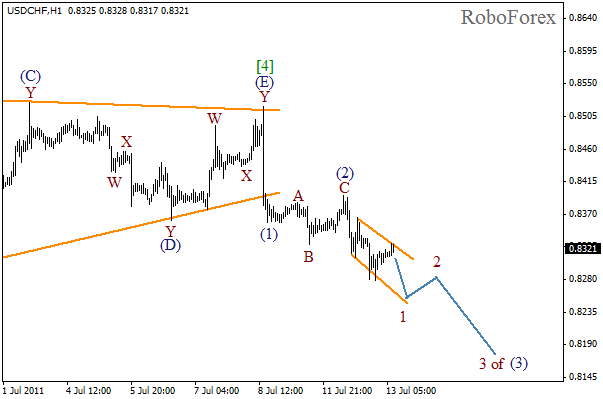 The pattern which is being formed inside wave 1 at the H1 chart may be wedge. It means that senior wave (3) most likely will be extended. The price may continue to fall during the day.